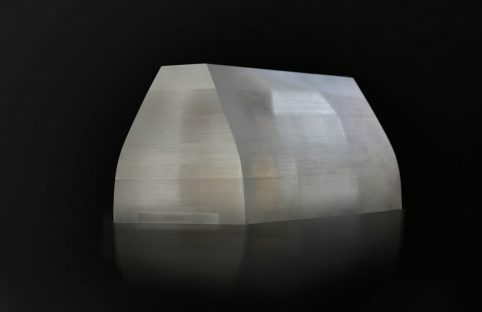 Temporary buildings, three-dimensional structures and spaces made of one material: space defines itself as dimensions of height, length and width. 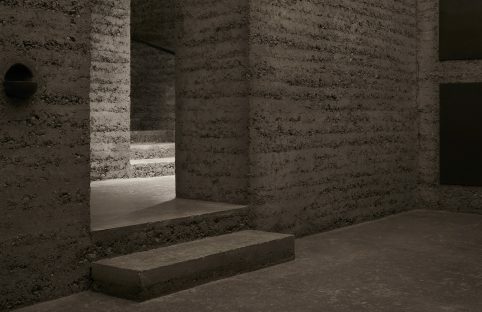 However, the conception of unconventional and surprising spaces is about much more than following the basic principles of design. 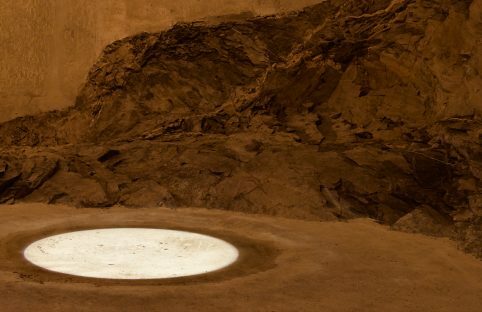 What makes a room a three-dimensional emotional experience? What role do context and material play in this? Please find the answers here. 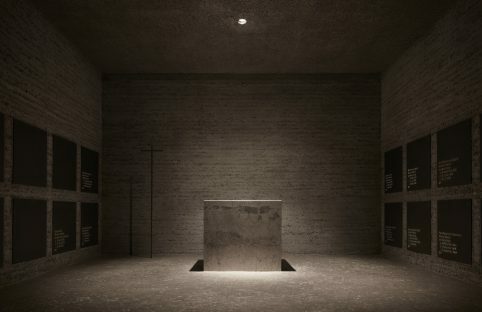 The Chicago Athenaeum Museum of Architecture and Design honoured the Bishop’s Burial Vault in Rottenburg with the International Architecture Award 2018. On Thursday, July 12, 2018, the contract was handed to Andreas Cukrowicz and Anton Nachbaur at a ceremonial act in the Prinz-Carl-Palais. 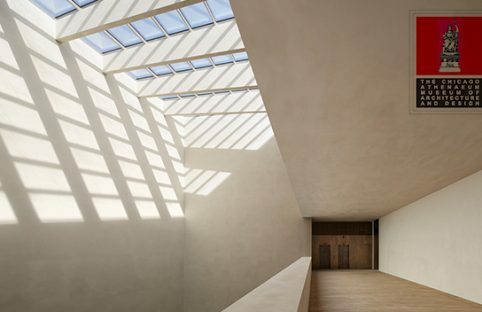 The Bishop´s Burial Vault in Rottenburg won the AIT AWARD „Best in Interior and Architecture 2018“in the category Public Buildings/Culture. Across all 13 categories, 723 projects were submitted from 36 countries. The prize was handed over on March 21th, 2018 in Frankfurt. für die Betreuung von Projekten in allen Leistungsphasen. 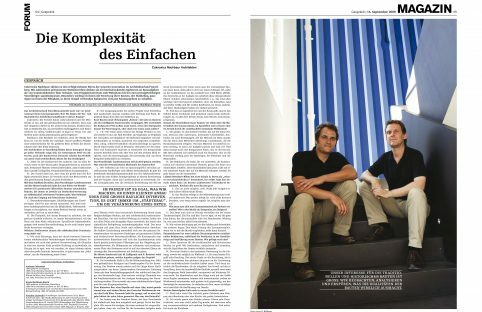 für Entwurf, Visualisierung und Bildbearbeitung. für eine Mindestpraktikumsdauer von 6 Monaten. Drawing on the idea of a progression of public spaces, the project is spread across two buildings which are offset from each other. 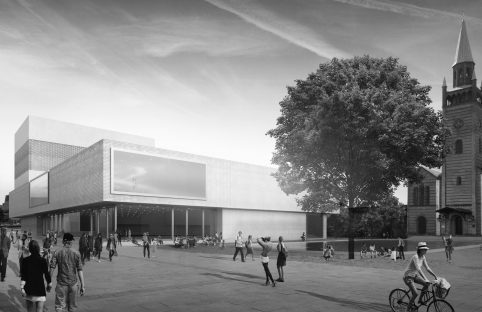 That gives rise to a theme of ‘tight and narrow’, which evokes a typical streetscape and also allows the composition to open onto public piazzas. 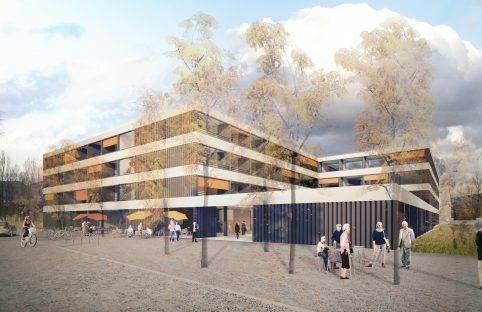 The new quarter is organised as a patchwork of various sports- and play facilities, punctuated by individually landscaped pathways and patios. 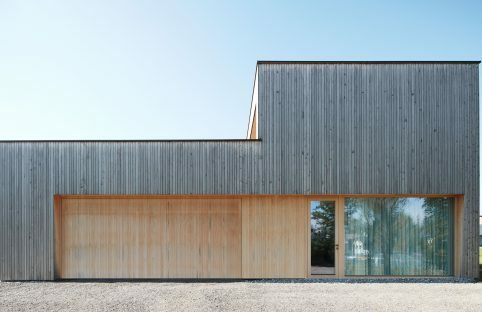 By minimising the visible volume of the hall, the new building appears as a freestanding pavilion. This design idea has straightforward origins: the sunken hall area evokes the form of a simple vessel, while the roof acts as its lid. Four solid circulation cores support a corporeal roof, lending a sense of activity to the overall appearance. 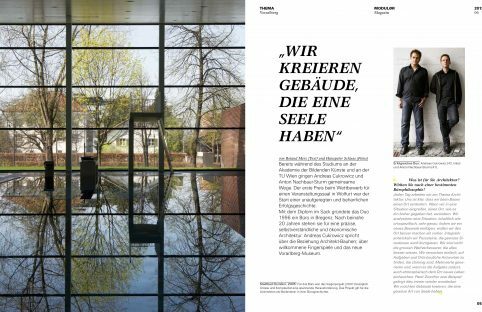 The house F in Dornbirn won the Vorarlberger Holzbaupreis 2017 in the category ecology and sustainability. The Prize was handed over on June 30th, 2017 in Wolfurt. We are happy about the award and thank our clients as well as our construction partners wood for the successful cooperation. 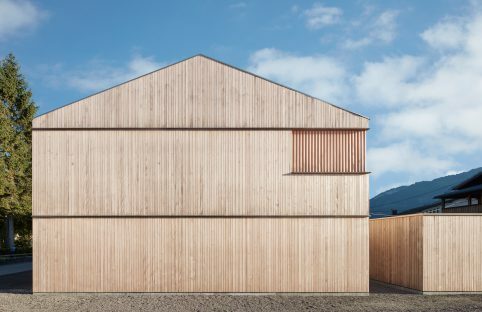 The house W in Bezau won the Vorarlberger Holzbaupreis 2017 in the category single-family house. The competition Museum of the 20th Century in Berlin was an international competitive process with high-regarded architects worldwide. We were honoured to have been invited to this competition, for which we were shortlisted and finished in fifth place. Competition 2016 shortlisted, 5th place. 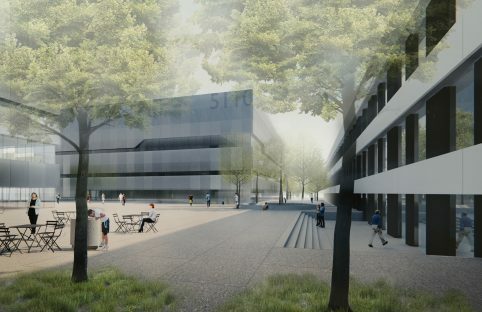 The new laboratory building’s design is based on the campus masterplan and the orthogonal pattern of existing buildings with inner courtyards. Two large volumes replicate the underlying structure of their neighbours. 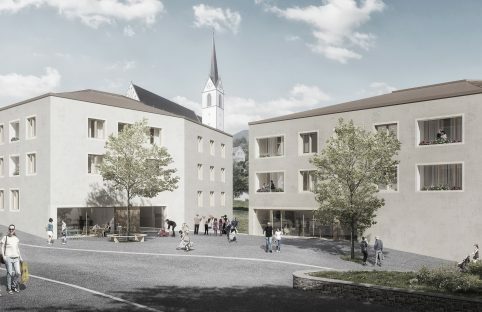 By offsetting the new additions from the established building line, they create a prestigiously located, central public square which is visually linked to the refectory. 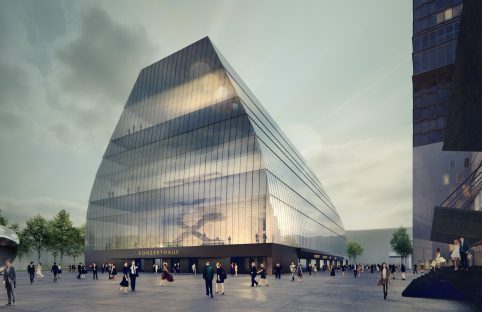 Furthermore, this layout unites every existing building by using the new square as an organic connection around which old and new are clustered. 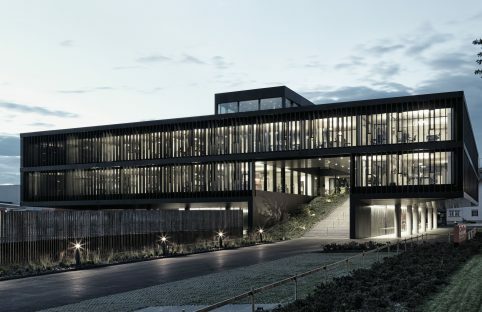 The new Headquarters for Gebrüder Weiss was awarded the “Best in Interior and Architecture 2016” by AIT in the category office/administration. Our project was up against 782 projects from 35 nations across 10 categories. The Prize was handed over on March 16th, 2016 in Frankfurt/Main. 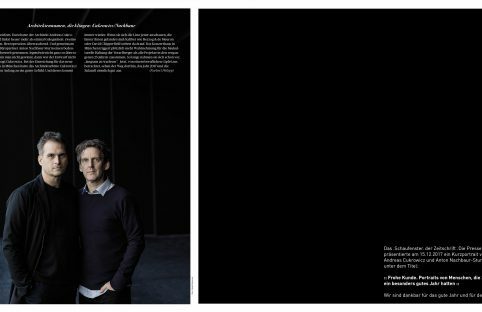 Our monograph was shortlisted for the “Die schönsten deutschen Bücher 2015” award. Our monograph has been shortlisted for the “DAM Architectural Book Award”. 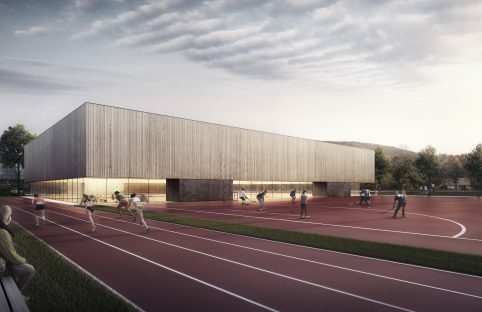 The Chicago Athenaeum Museum of Architecture and Design honoured the Vorarlberg Museum project with the International Architecture Award 2014. 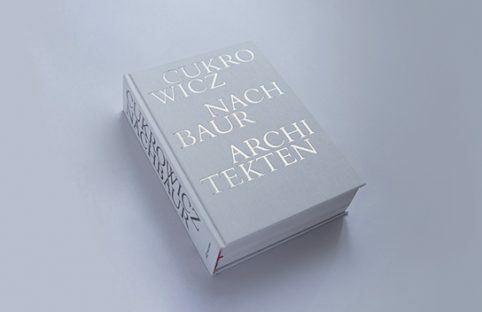 The book offers for the first time an insight into the extensive work of Cukrowicz Nachbaur and introduces their approach, which is underpinned by everyday phenomena. 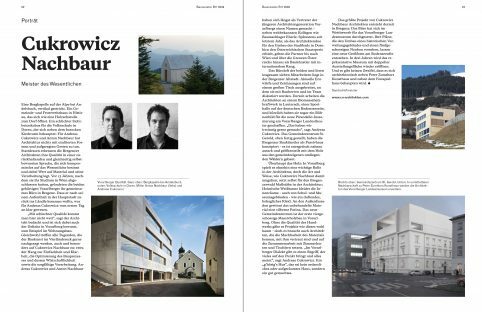 Like a logbook, eight projects are introduced through plans and texts from the architects, as well as with photography from Adolf Bereuter, who revisited all projects for this monograph. 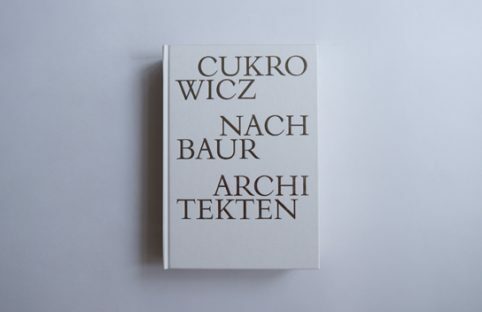 Numerous essays from highly regarded authors argue with the central themes of Cukrowicz Nachbaur, putting them in the context of the current dialectic and thus opening unknown dimensions of both architect´s work. 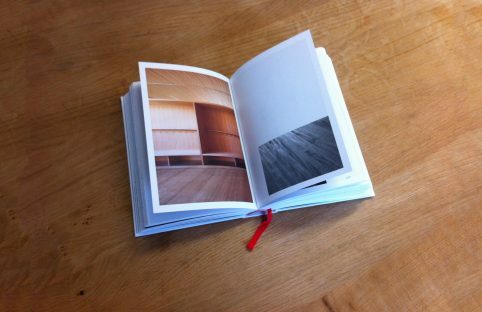 The monograph is complemented by a work list in which more than 100 projects are documented in detail. Book Design: Jonas Voegeli, Hubertus Design GmbH. Publisher: Park Books Zurich. 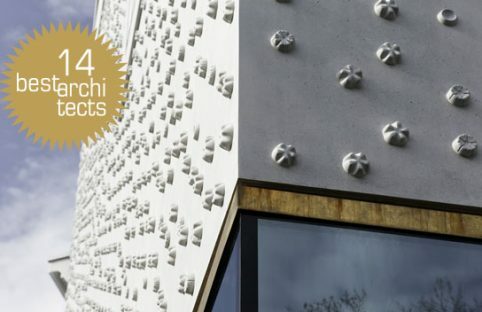 The Vorarlberg Museum was honoured with the BEST ARCHITECT´S AWARD 2014 in GOLD.